Climbing Mount Kilimanjaro is at the top of most people’s bucket lists. This year, make it happen! 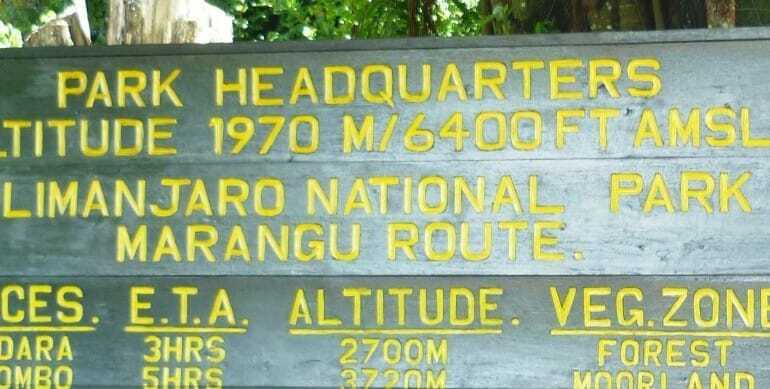 Also known as the Coca-Cola route, the Marangu Route is great for beginners who want to climb Mt Kilimanjaro. In this 8-day itinerary, you will spend 6 days trekking with one day for acclimatisation. All accommodation will be in mountain huts. You will start on the South East of Mt Kilimanjaro and trek 72 km to the summit. Please note: The itinerary mentioned above is only a sample. We also organize more upscale Mount Kilimanjaro climbs suiting different budgets and ages. Please contact us for your own customized plan. Breakfast. Drive to Kilimanjaro National Park gate at Marangu for the first section of the climb through the Mountain Forest to Mandara hutat 2750m. Picnic lunch en-route. Dinner and overnight Mandara hut. Breakfast at Mountain Inn, Moshi and head out either for your safari or for your international flight back home. Please contact us for available departure dates. This climb can also be customised for a private tour. This tour begins and ends in Moshi, Tanzania. Transport can be arranged from Arusha. A safari post-climb is also recommended.